We realise that nature photography is an acquired taste and not appreciated by everyone but lots of people take nature shots so this thread could give members a chance to post photos for viewing, comments, advice and tips (given or taken) or just general natural history chat. Don't limit your choices to simply macro shots, indeed the reason I suggested butterflies and dragonflies is because they don't require special equipment. And lots of people already post them. So have a root about on your hard drive and show us what you've got. To start it off here are a selection I took this afternoon. 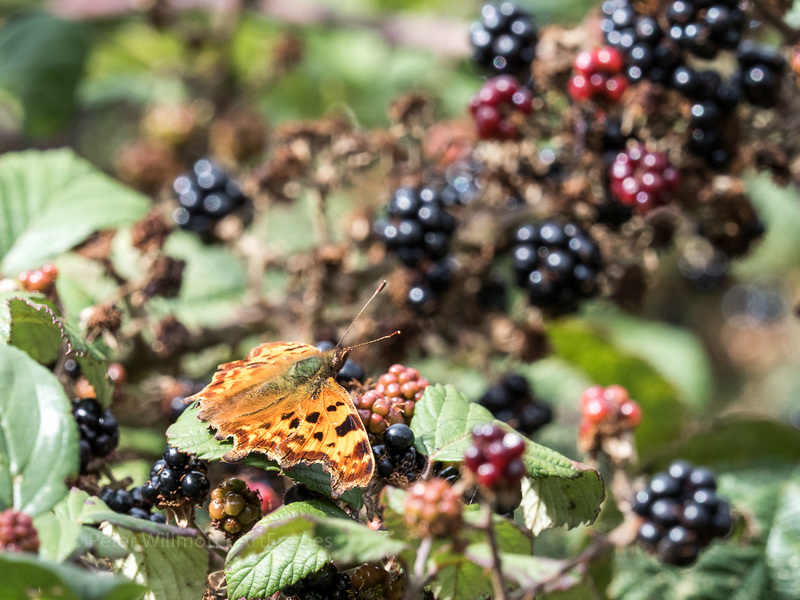 As I walked around a reserve and footpath lots of people were out picking blackberries. I was taking pictures of the insects who were there first, enjoying the fruit themselves. 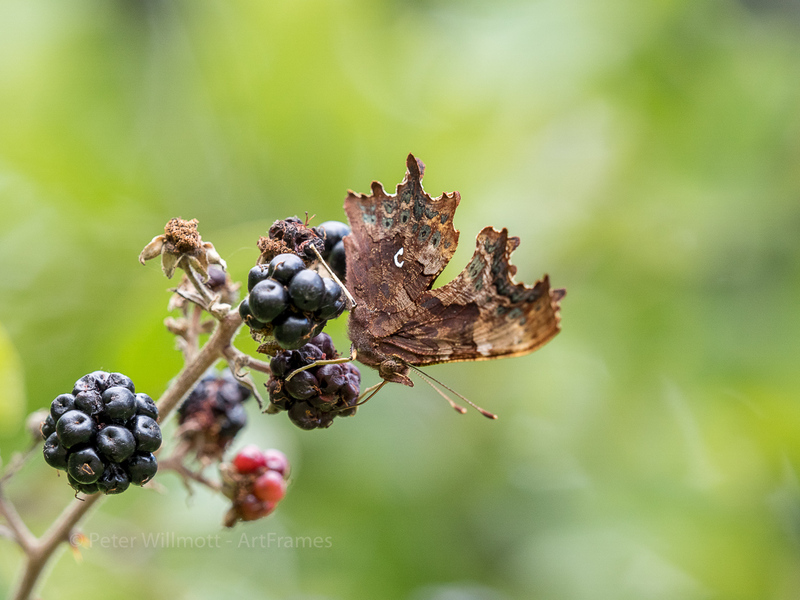 A migrant hawker dragonfly and two comma butterflies enjoying the blackberries. The dragonfly also has a fly walking on it's wing! So do remember to wash your blackberries before you eat them. Now it is your turn. What have you got to post? Something else a little continental. 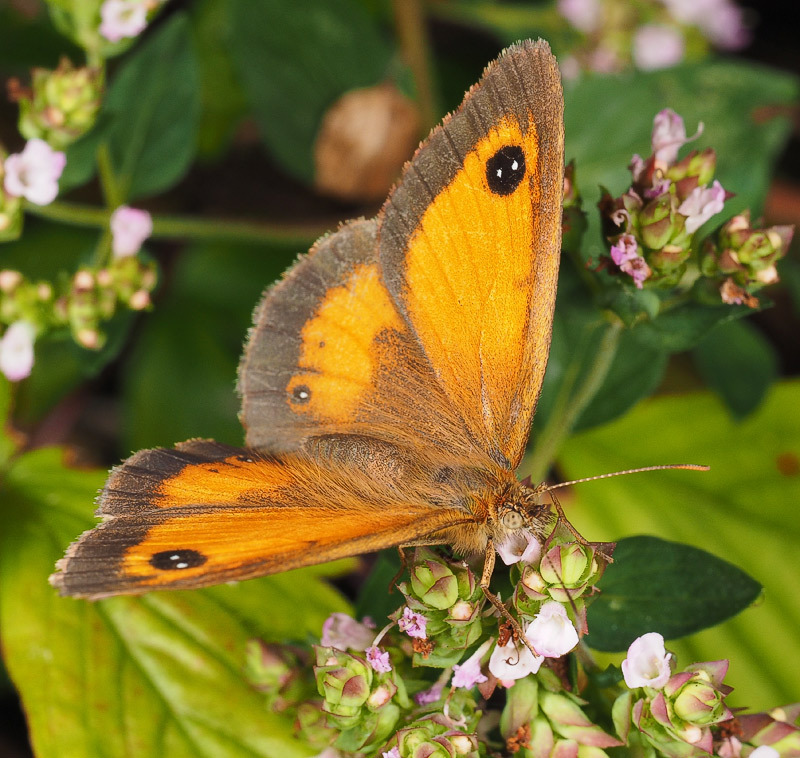 And a Gatekeeper for good measure! 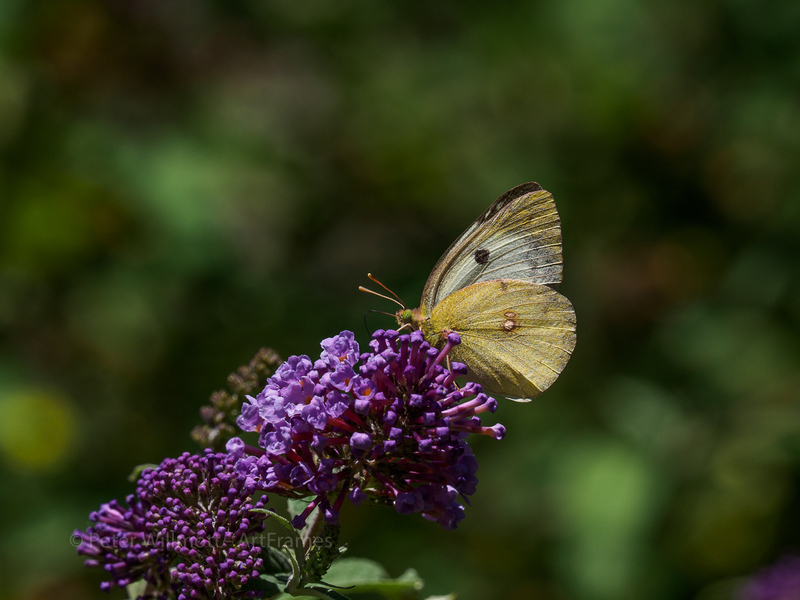 A very nice clouded yellow. Where in Europe were you and what else did you see? I look forward to a few more like that. My holidays in France did produce about 500 shots of butterflies this year, so my hands are itching but I will resist....for now. I can see I'm going to learn a lot from this thread! Currently just south of Limoges, but will soon be back home. Thanks for getting the thread off the ground so quickly Peter. 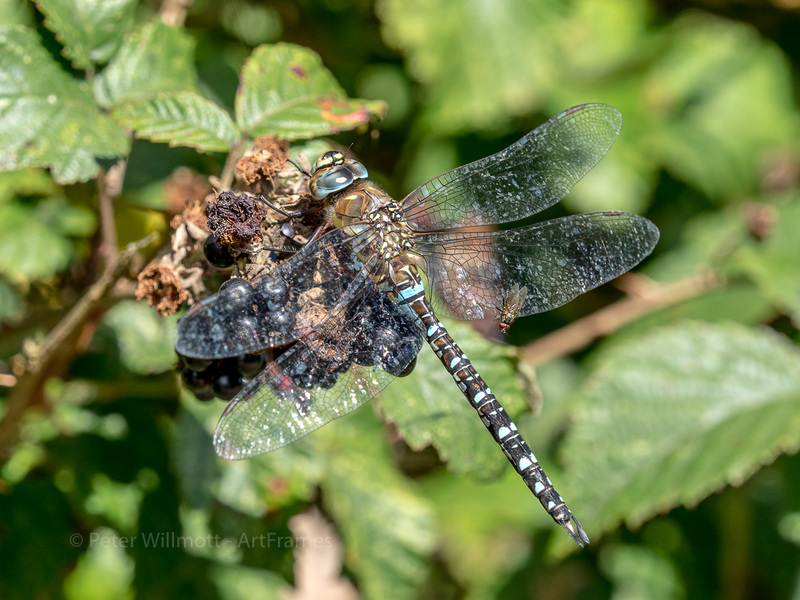 What a splendid selection of butterfly and dragonfly images. 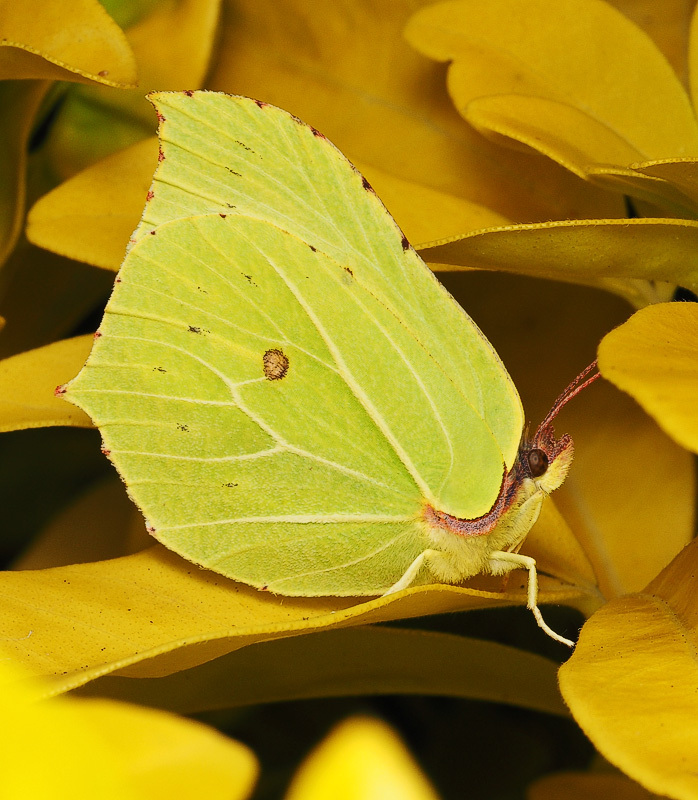 Out of interest has anyone ever managed to get a shot of a Brimstone with its wings open? There are been hardly any butterflies in my garden recently, apart from a few very smart Red Admirals. 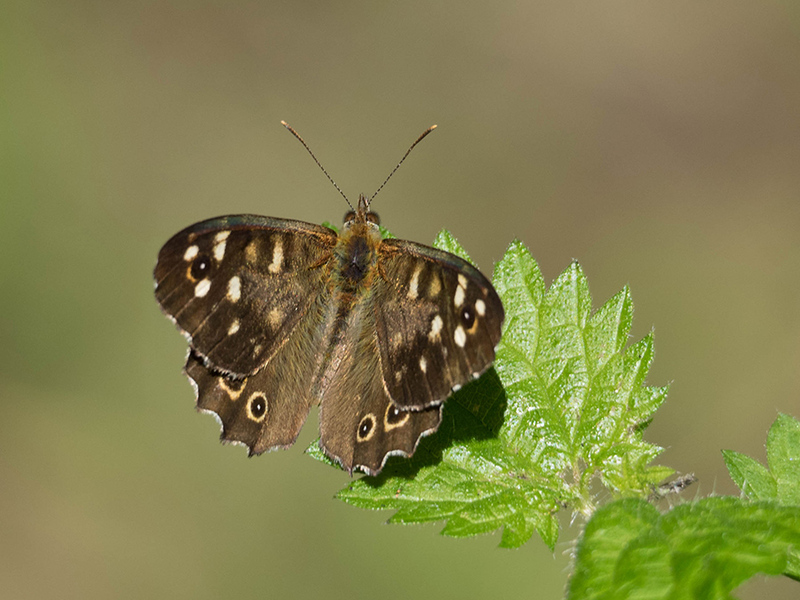 However, the other day while out for a walk I entered a clearing in the trees and there were five pristine Speckled Woods flying about in the sunshine. I guess I should have stopped down a bit more to get both wingtips in focus. Will I ever learn? Thank you for posting here too Ron. I love speckled woods in autumn, everything else seems just slightly old and worn and then you see a speckled wood - fresh as a daisy and full of energy and excitement, chasing anything that moves nearby. You have done well as I think they are very hard to get a good shot of, and we shouldn't get too worried by a bit of depth of field blur. very soon with focus stacking it will be a pleasure to see pictures with something out of focus ..! Just three (Ron set the rules) and I will try to be law abiding! These were all from a very pleasant part of France - the Tarn and Garonne. Very rural, lots of butterflies. 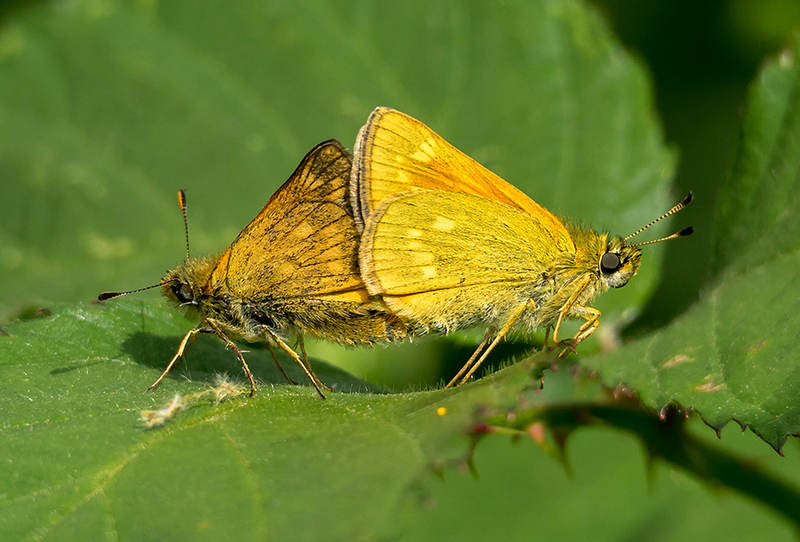 Firstly a mating pair of Cinquefoil skippers. 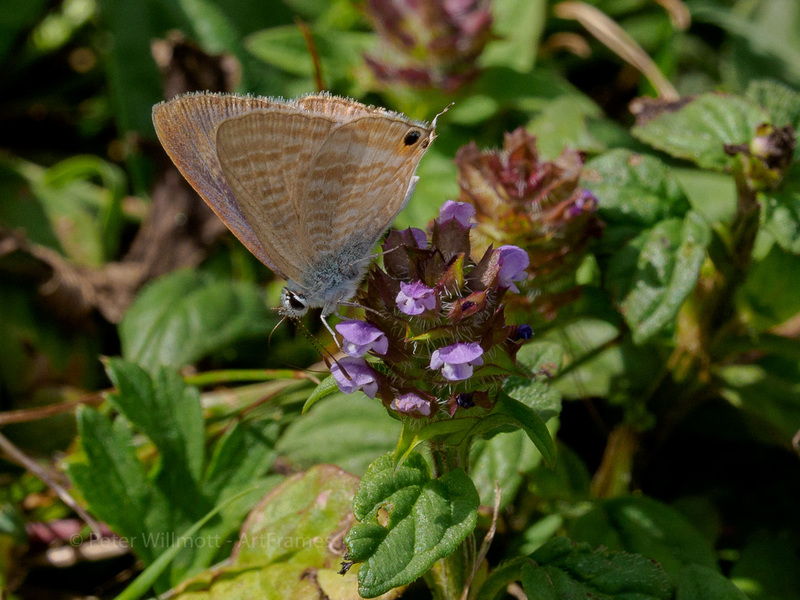 Sorry to say none of these would be seen in England, except very rarely long-tailed blues. 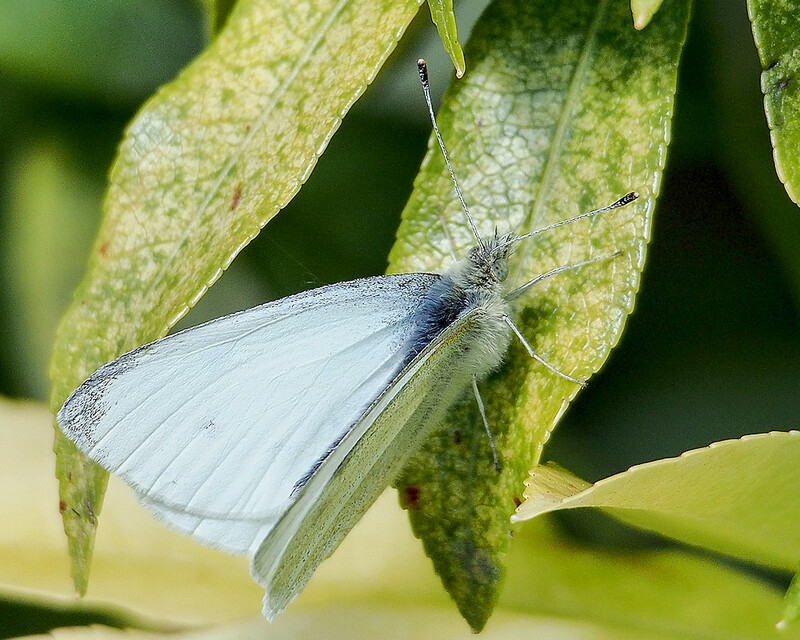 They have been seen as very rare migrants when the weather conditions have blown them over the channel. Enough from me. Somebody else please show us what you have. 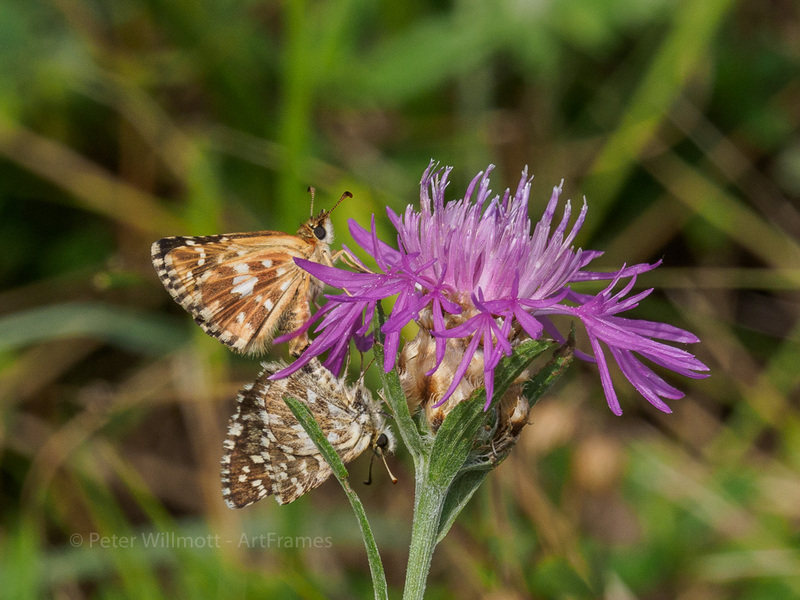 Three cracking images of butterflies that I haven't seen and am not likely to either, Peter. I haven't heard any reports of migrant Clouded Yellows here this year. There were quite good numbers last year amd I saw a couple on Lowestoft North Denes. By the way, I am better at breaking rules than setting them, so post as many shots as you wish. Super stuff Peter. Let's hope the Auzzie contingent get involved too! 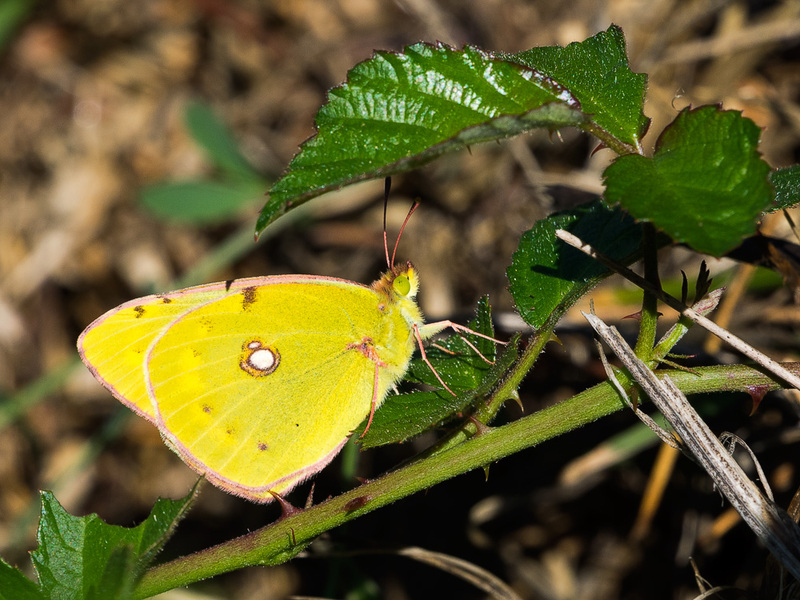 I saw some migrant clouded yellows last year. The first report in Northamptonshire this year was early August. Not seen one yet...But I will post it here if i see one. It is very good at the minute for Red Admirals too. I'm off to bed now and hope this thread will be full by tomorrow. 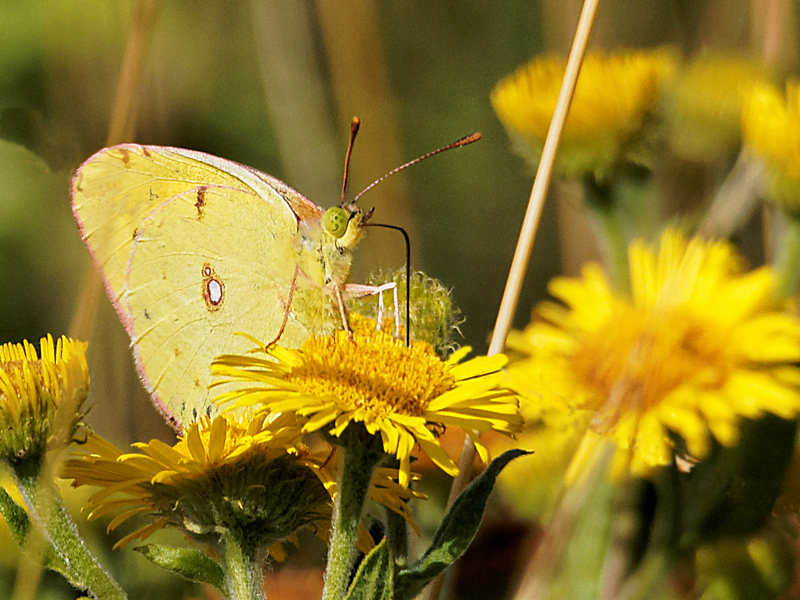 A Migrant Clouded Yellow in Essex 2013. Some wonderful pictures coming in after I went to bed. Thank you Brian and Peter. 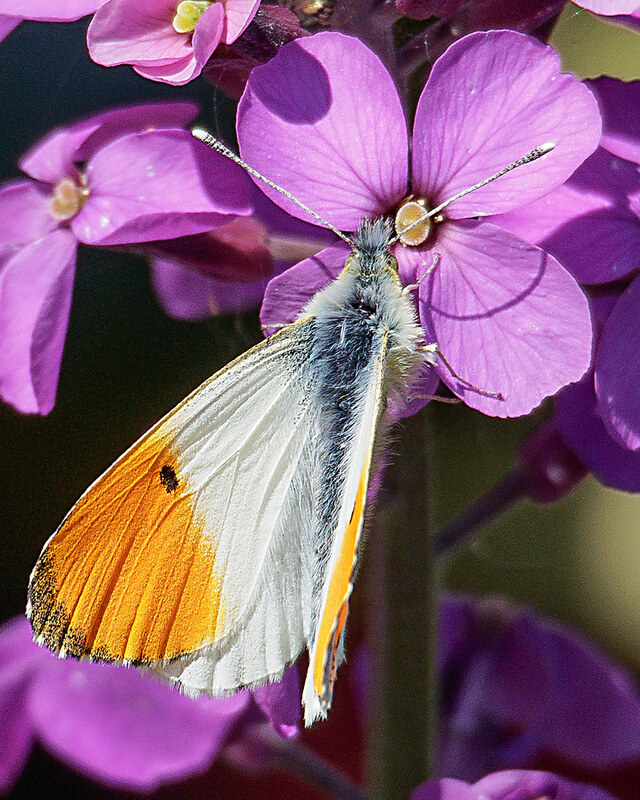 The Orange Tip having a drink is lovely too. About the only time they sit still but it is a butterfly that I have also been able to capture flying a number of times, it is predictable and slow enough. Thank you Peter for also joining in and sharing a migrant clouded yellow. I have spent lots of time chasing clouded yellows - they also seem never to want to stop. Did this one do the same? 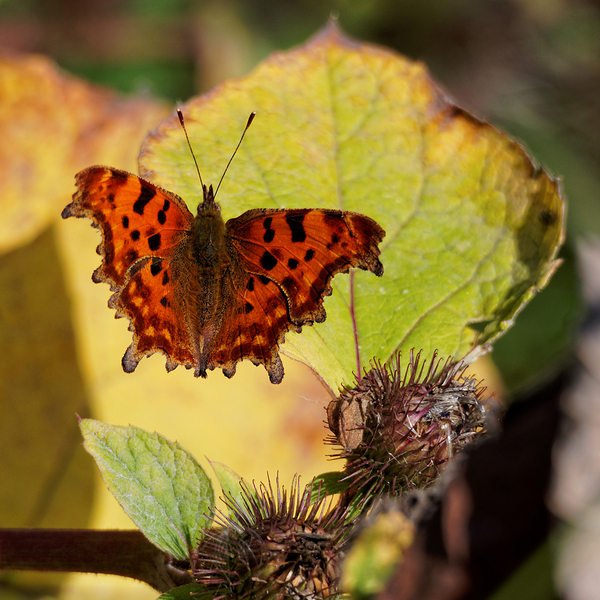 It looks like you caught the Comma in flight, in perfect focus. So Peter introduces the BIF category as well. 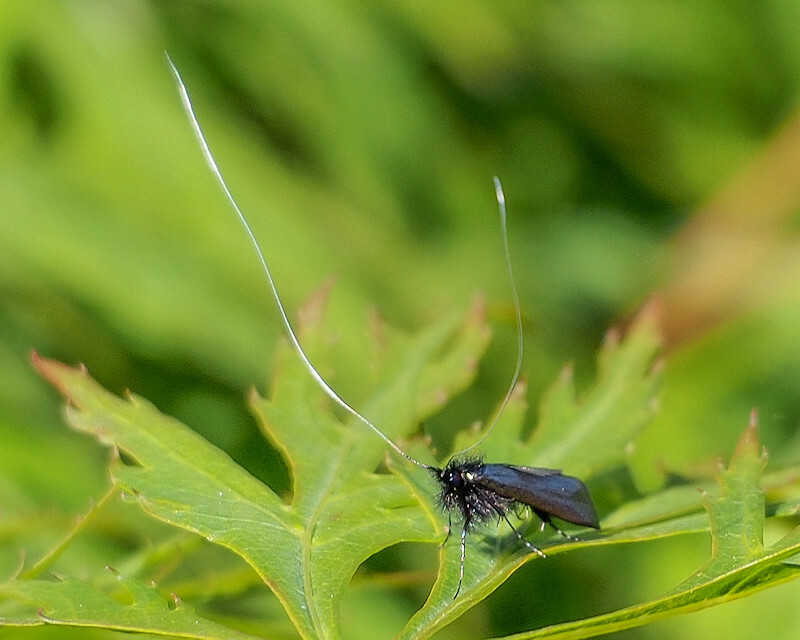 And demoiselles, which are so very beautiful and difficult to get near to (unless it is very hot when they become kinder, I find). So Ron's idea seems to be working. I will try to keep it going, but please post more. Lovely crisp shots from Brian and Peterbirder. I find my Orange Tip shots never look right but Brian's is excellent. 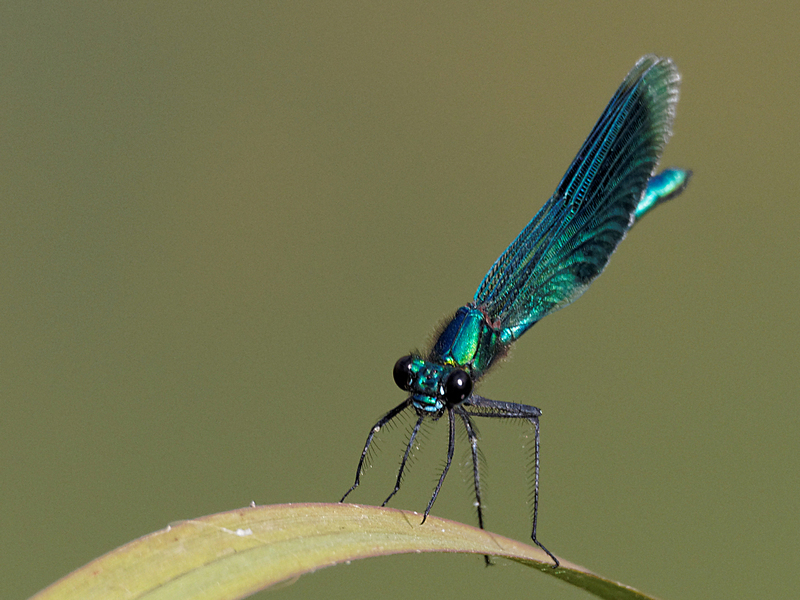 Banded Demoiselles are impossibly exotic looking for a relatively common damselflies. Here is a shot of a pair of mating Skipper butterflies at Carlton Marshes back in June. My butterfly ID skills are not very good but I think they are Large Skippers. I am sure Peter will be able to correct me if I am wrong.